Who here ever dreamed of your bride dress? I "dreamed" of mine and had it done. I chose a model (in fact, several, and I made a miscellany. ), I told my seamstress to do it and it was cheaper and the way I wanted it! Have you thought about this possibility? Here's my wedding dress: details of my wedding. I found it more convenient to have mine done, because the first rent of the wedding dress was in the range, practically, of the same price that I spent with mine. So I preferred to do my wedding dress and would do it again a thousand times! Here at www.lunss.com you can make your dream come true! You browse the site, choose your model from a huge variety of wedding dresses and they make for you all tailor made. You will get a beautiful and perfect custom wedding dress! I found the prices well considering the wedding dresses I found on the website, because a first rent does not come out very cheap not. I found there gorgeous wedding dresses in the color of the moment: rose quartz, that very light pink rose that is the trendy color that everyone is wearing and that promises to be one of the colors of the year 2016. 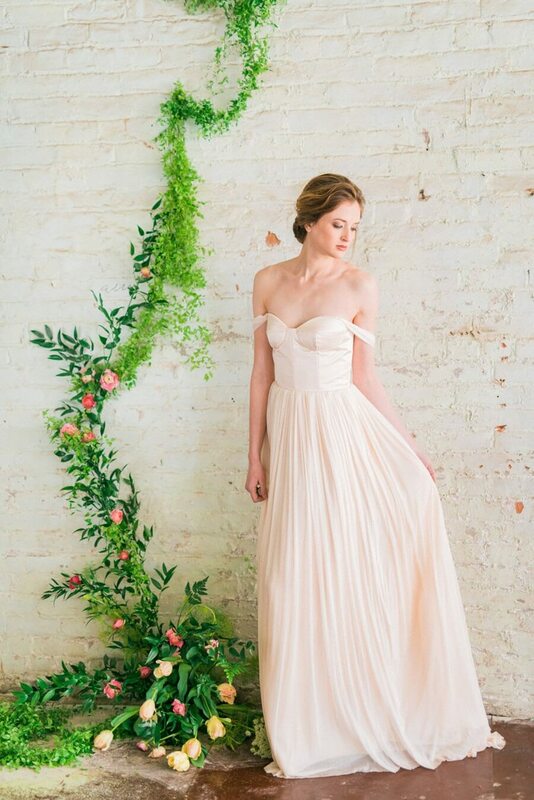 Then check out some wedding dresses rose quartz and get inspired! The wedding dress is the most important item for the bride, and therefore the choice should be made judiciously. Many noctits opt for colorful wedding dresses, which does not detract from the brilliance of your special day. The colorful wedding dresses are always high and make a difference and so much in the wedding. Rose quartz wedding dresses refer to spring and romanticism, and it is a very feminine, delicate and sophisticated color. Look at the Lunss wishlist I've prepared for you, Brides! I loved all the dresses, but my favorite wedding dresses were the 2nd and 4th dresses. What's yours, Miss? A thousand kisses and God Bless you greatly!